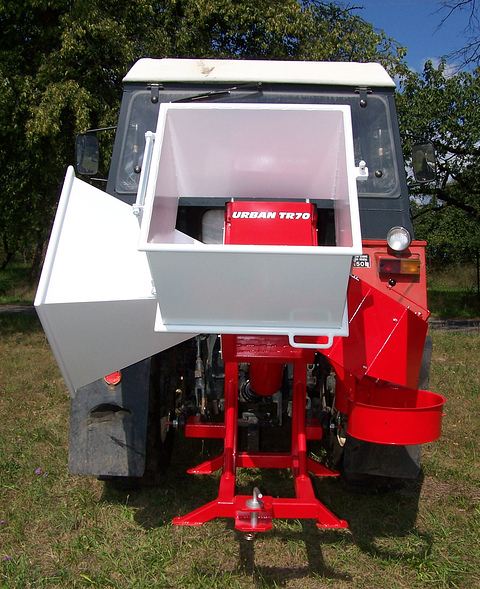 The branch logger is powered by cardan with overload clutch which stops chipping when too thick branch was put in so the branch logger is protected from overload as well as the tractor. 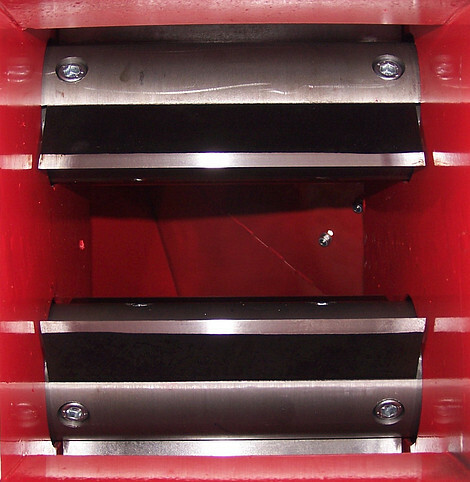 position, removable part is put down and the hopper is prolonged, which helps with handling with branches and it also helps to increase the security of the working staff. 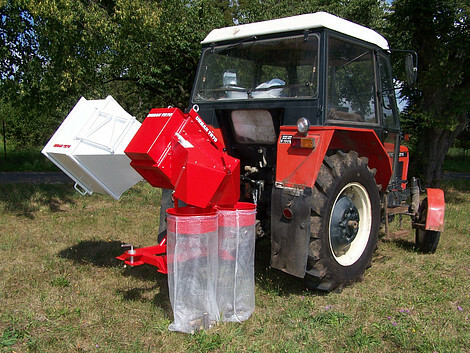 The branch logger is equipped by double bag-filling device. 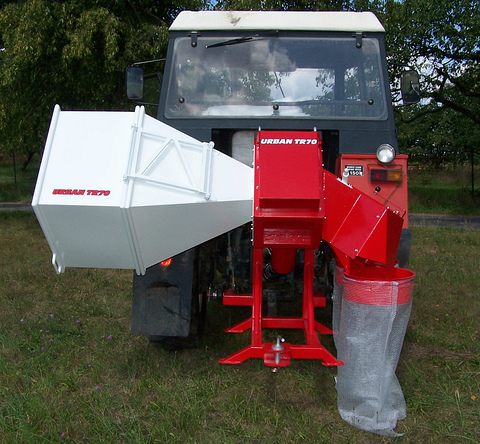 So it´s not necessary to stop chipping after the filling of one bag; it´s enough to just switch the handle and chips continue to fall into the second (empty) bag. While filling of second bag, the working staff can chase the first bag for the empty one. 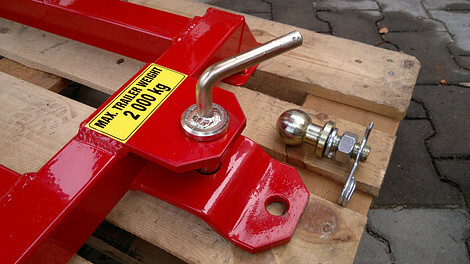 The branch logger is equipped by trailer linkage, so it´s possible to load filled bags on the trailer. 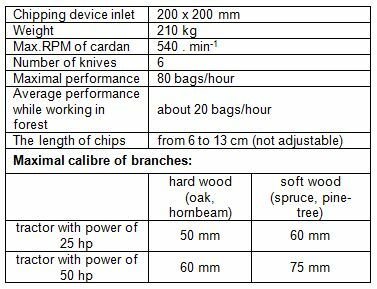 The optimal number of working staff while chipping in forest is 3 persons (one person just changes and load bags).